In order to fulfill the ever-evolving demands of our esteemed clients, we are engaged in providing an optimum quality array of Calcined Lime Powder. To cater the variegated needs of our esteemed customers, we are highly engaged in offering a wide array of Calcined Lime Powder. We are engaged in offering high-quality 400 Mesh Calcined Lime Powder. For catering the variegated needs of our clients, we are deeply engrossed in offering a qualitative array of Calcined Lime Powder. Acknowledged for its high purity level, Calcined Lime Powder is widely demanded in various industries. 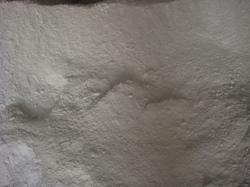 Calcined Lime Powder is obtained from calcium oxide by the process of calcinations. The Calcined Lime Powder, offered by us, etc. We provide best quality Calcined Lime Powder that is obtained from calcining dolomitic limestone. 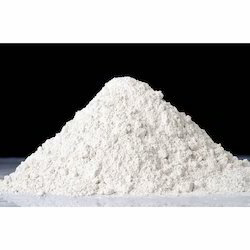 The calcined lime powder that we offer is natural and also contains equal molar weight % of calcium oxide to magnesium oxide. It consists of lime impurities like aluminum oxide, iron oxide, sulfur and silicon dioxide. We are offering our customers an excellent quality range of Calcined Lime. Our range is available in various configurations, sizes and specifications as per the clients requirements. It can be customized to suit various needs and requirements of our clients. Calcined Lime Powder has its application same as Calcined Lime, the only difference is with the size. Even the specifications are same except size, which can be variably adjusted according to customer requirement.